Xolo, which has been quickly widening its Q-core range has announced its latest offering featuring a Snapdragon processor. Xolo has announced the launch of the Xolo Q500 which is powered by the quad core Snapdragon 200 processor clocked at 1.2 GHz. The device sports a 4 inch display with One Glass solution technology and resolution of 800 x 480 pixels. There is also 1 GB of RAM and 4 GB of internal storage on board. 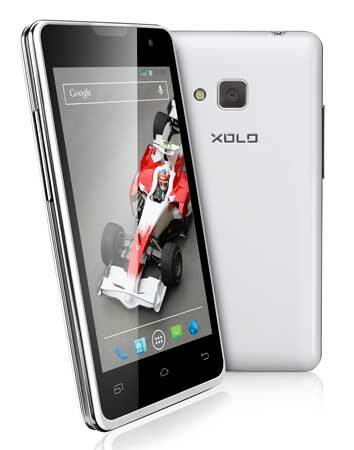 The Xolo Q500 is equipped with a 5 MP rear facing auto focus camera with LED flash. The camera is used to run the new X-TransPic mobile app which helps users translate Hindi words by just pointing the app camera at any sign board, advertisement or poster without requiring to be connected to the internet. The detected text can also be used to put in an internet search or in an SMS without requiring to type it again.